Dozens of new features are released on Instagram every year. Not everything is perfect and that’s why these hacks are there for you. Some are workarounds to current issues while others are features that are tucked away in your profiles. 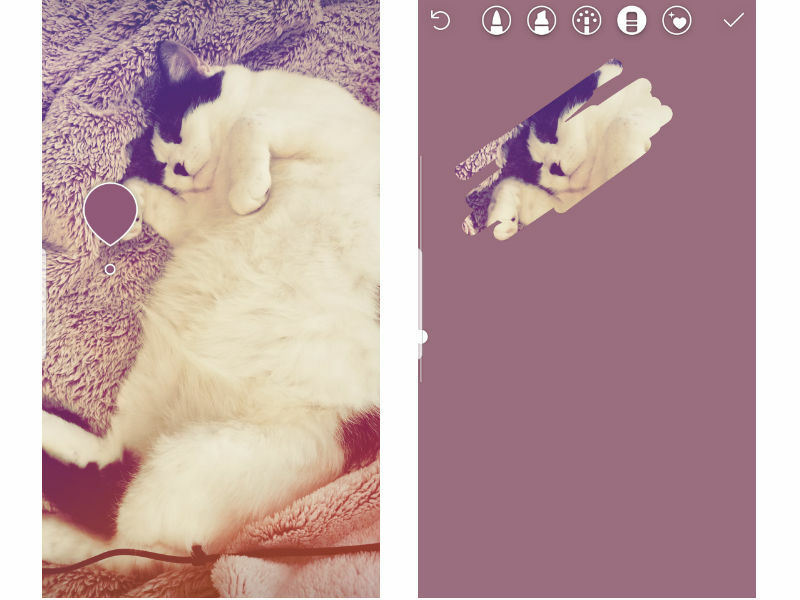 These Instagram hacks are arranged by type. They include customizations for your profile page, Instagram Stories and even ways to make managing your presence easier. 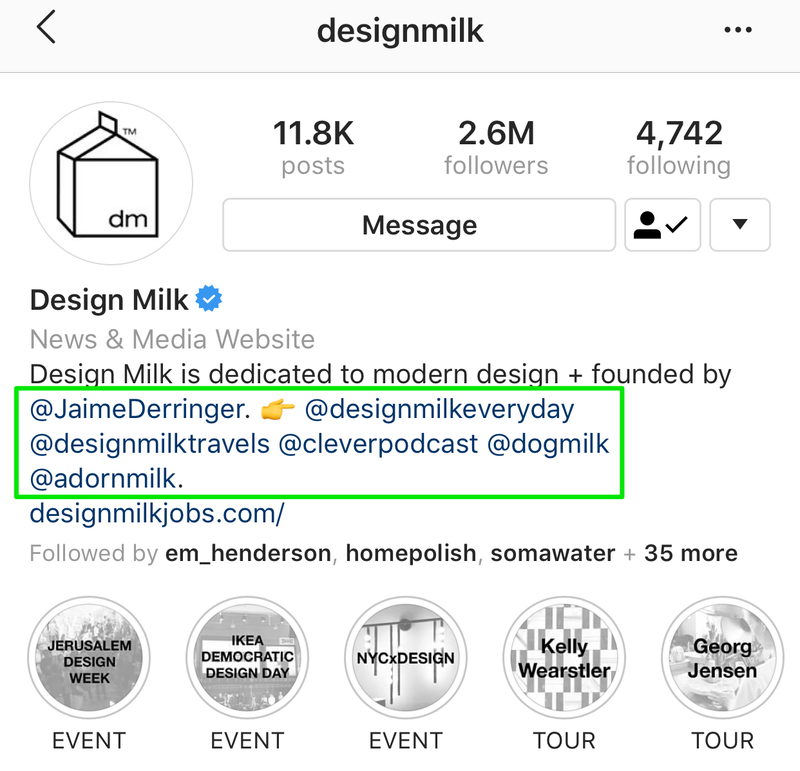 Ever seen neat fonts in Instagram bios and wondered how people were able to make them appear that way? In actuality, these aren’t fonts but rather Unicode symbols. It’s why your copy and paste from Times New Roman won’t work but these symbols will. Keep in mind the most important, searchable words like your name probably shouldn’t be in symbol format. ★彡 Ⓢⓟⓡⓞⓤⓣ Ⓢⓞⓒⓘⓐⓛ 彡★ might look eye-catching but it’s not search friendly. Instead, use these sparingly for words that you want to stand out. Open up an Instagram font generator like Fonts for Instagram. Other generators give you symbol customization options. Type in the word(s) you’d like to convert to special fonts. Copy the generated symbols and paste into your profile. Pro tip: Use this in your Instagram Stories to make them stand out from the default fonts. In the bio section, you can add hyperlinked accounts and hashtags. Brands often use this space to add their branded hashtags, as anyone visiting the profile could click the hashtag and explore more. In your bio, begin typing the hashtag or account name you want to link. It should show up in the search results. Pro tip: Use this space to add your brand’s other account handles, such as podcasts, magazines or regional accounts. If your account is public and you want more exposure on your Stories, add account mentions and hashtags to the Story. But don’t stop there. If the text takes away from the overall Story, hide it behind a sticker, gif or turn them the same color as the background. This way, your Story will still appear in the public hashtag but won’t look cluttered up with text. Add all the text (account mentions and hashtags) that you want to the photo or video. Move text to an area where it’s all one color. Resize to fit. Edit the text to change the color. Use the eyedropper tool to select the background color that the text is on. And now the text is “gone”. 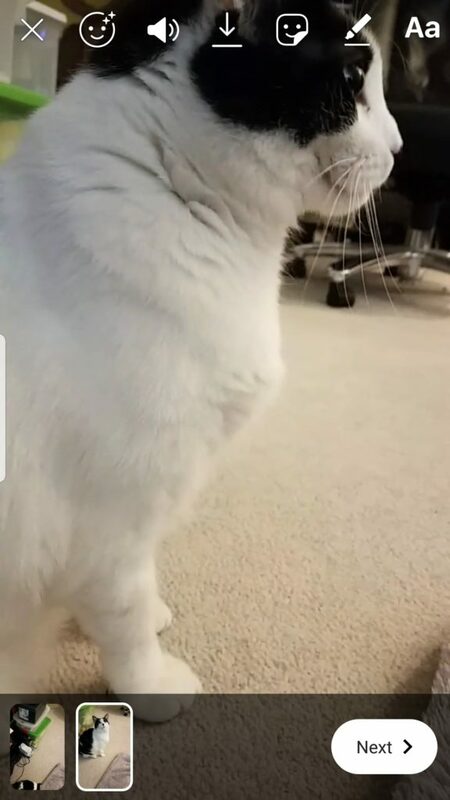 If using a gif or sticker option, find a suitable one and overlay it on the text to hide it. Pro tip: Don’t go all out on the hashtags. Stick with a similar hashtag plan as your posts so you attract the same audience. Ever wanted to upload a photo but didn’t want to show everything in it? Instead of laboriously drawing all over the image, fill the screen with one color and use the eraser tool to show what you want. Create a new Story. Position as you’d like. Select the brush tool. Using the eyedropper tool, find the color that you want to flood your screen with. After selecting your color, take your finger onto the screen as if you were going to start using the brush. Instead of moving it, hold your finger in place. The screen should fill with the color you selected. Use the eraser tool to show only the parts that you want shown. Pro tip: Use this for fun “reveals” of products or upcoming announcements. It used to be that you needed to use a separate app to clip your videos for Instagram Stories. Thankfully, you no longer need to spend time uploading and chopping them up. 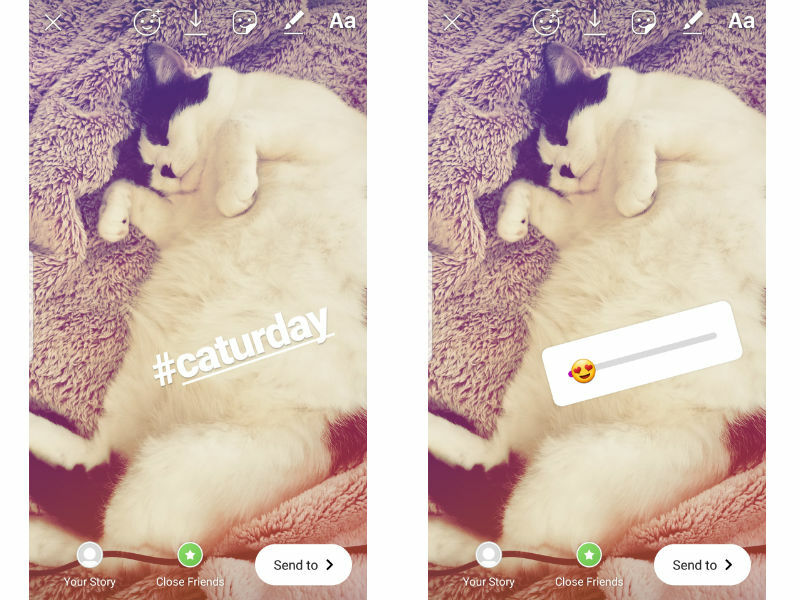 With either an uploaded video from your phone’s videos or one shot within Instagram Story, the app now automatically clips your Stories into 15 seconds bits. Open up Stories. Upload a video that is longer than 15 seconds. Small screencaps should appear in the bottom left corner. Each one will be 15 seconds each until the video is fully clipped. If filming within Stories already, film as usual. The clips will appear in the bottom left corner as you film. 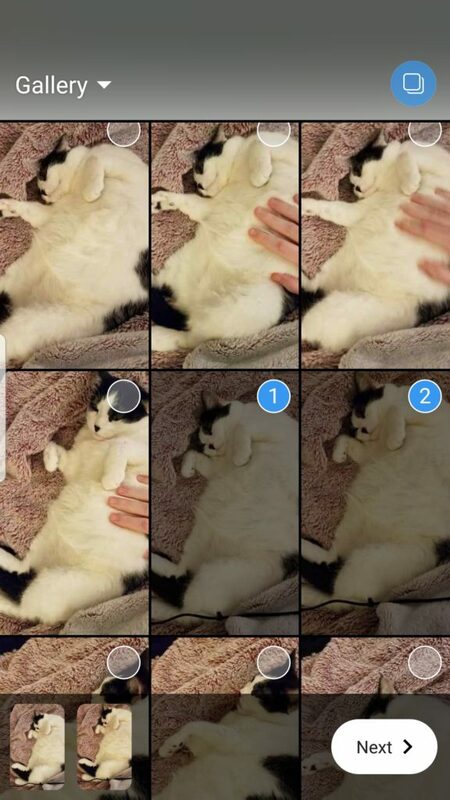 Edit each segment as desired by tapping into each screencap. Pro tip: No more clipping in another app. Take your full length videos and upload as usual. One less step for your editing team. Uploading a new photo and video every time can be cumbersome. Instead of filming within the Instagram app, do it with your phone’s camera. When it comes time to publishing the Story, select the media that you want to use all in one go. No more composing a new Story for each photo. Take photos and videos. Narrow down which ones you’d like to use in your Story. Open up Instagram Stories. When swiping up to look for your past phone media, look for a small icon in the top right corner. Select it. Now you can choose which media to use. You’ll see the small screencaps in the bottom left corner. Hit Next and edit each Story as usual. Once you’re done, they’ll all be uploaded at the same time. Pro tip: Save your media into a special folder to make finding them easier. 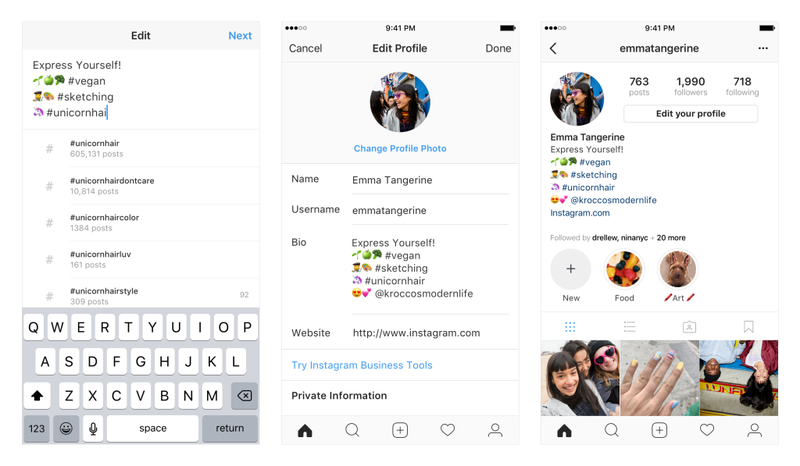 Paired with the previous Instagram hack is the scheduling feature. Instead of composing your Story in the moment, schedule your Stories through a tool like Sprout, which lets you schedule Stories from the mobile app. This route cuts out the awkward emails to yourself or photo transfers to your phone, letting you work on your Stories ahead of time. 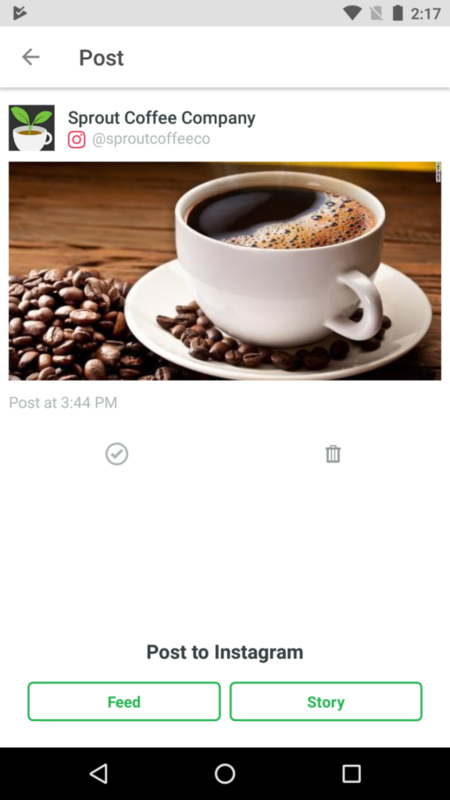 In the Sprout mobile app, set up your Instagram post. When it comes time to post, select Story as your format. Pro tip: This is great for branded videos and photos. Anything that you’ve worked on ahead of time is perfect for Story scheduling. Instead of taking up space in your phone, use this feature to re-use your Stories or be available in case you want to download in the future. 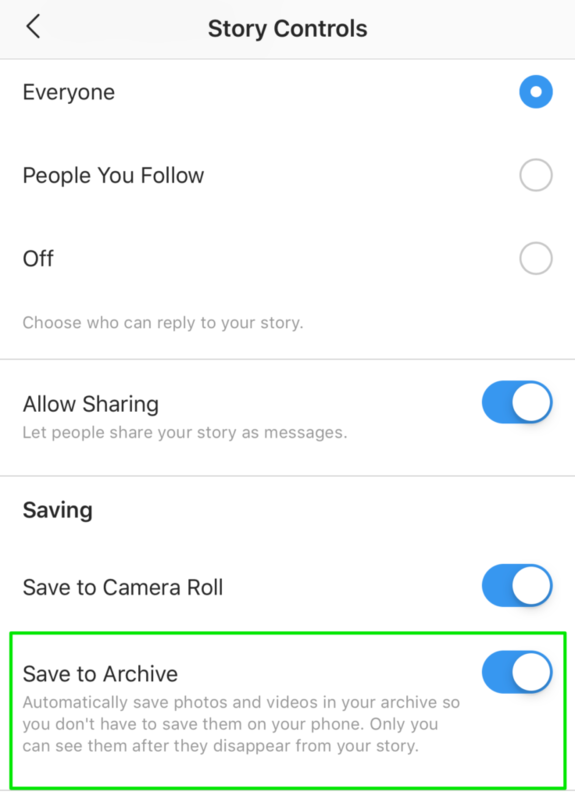 Turning this feature on automatically stores your Stories after the 24 hours are up. You can always explore your Archive whenever you want. Open up Instagram and head to Settings. Under Privacy, select Story Controls. Beneath Saving, toggle Save to Archive to on. To access your Archive, go to your Profile. In the top left corner, you’ll see a little clock icon. Opening it up shows you your past Stories. Pro tip: Re-share archived Stories. When you re-share them, the Story comes with a removable sticker that shows the date that it was originally posted. Do you keep an influencer list or have special ambassadors for your brand? 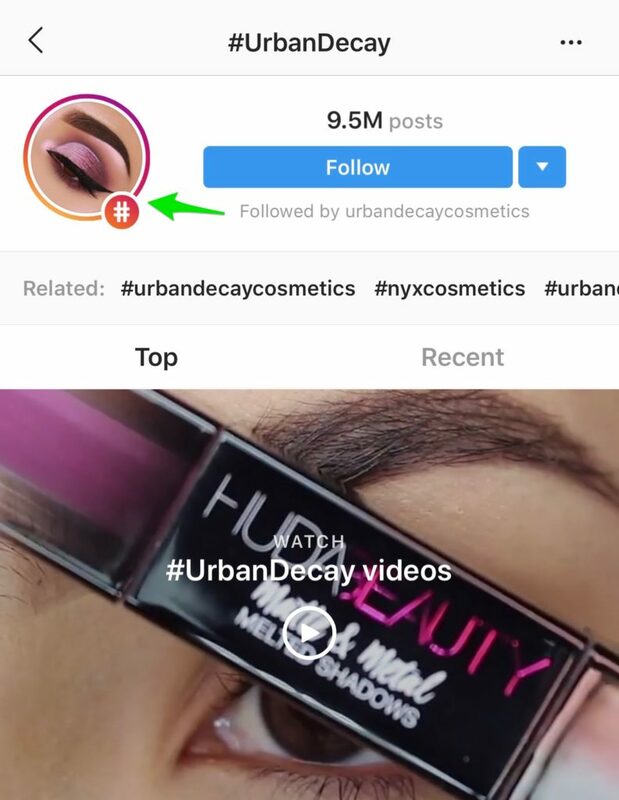 Use Instagram’s newest Close Friends feature to share sneak peeks into your brand’s future plans. This smaller list of people will feel special to be included on the list and the engagement numbers should reflect this. Open up Instagram. Go to your profile page and swipe left. Select Close Friends. Add the influencers onto the Close Friends list. Pro tip: Instead of using this for influencers, you can also switch it up to your stockists or wholesale partners, whichever works best for your business. This feature is best used for those who receive either a lot of unwanted comments or spam from bots. In these controls, you can choose between automated filters determined by Instagram or add your own words and phrases. Open up Instagram and go to Settings. Under Privacy and Security, go to Comment Controls. 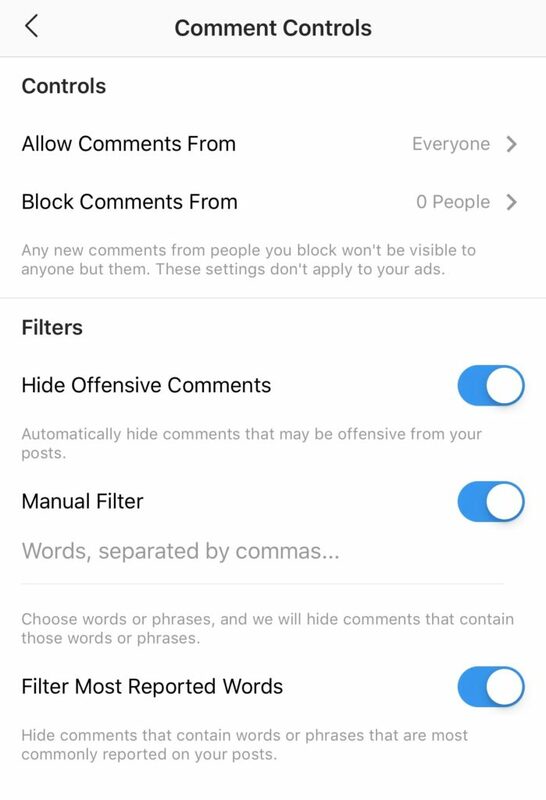 Here, you can choose to Hide Offensive Comments (automatic) or add your own words (manual). If you select Manual, you’ll see an additional option to Filter Most Reported Words in your comments. Pro tip: Use this feature to preemptively hide comments from certain accounts and filter out the most spam-like comments. Maybe it’s not the best photo of you that you’re tagged in but you still want to remember that it’s there. Instead of removing the tag of yourself, choose to hide it instead for your eyes only. When people navigate to your tagged photos, they won’t see the embarrassing photos anymore. Under Privacy and Security, visit Photos and Videos of You. All the photos that tag you on them are now shown here. Select the ones you want to hide and then press Hide. Pro tip: Turn off the Add Automatically feature for a more fine-tuned tagged photo collection. 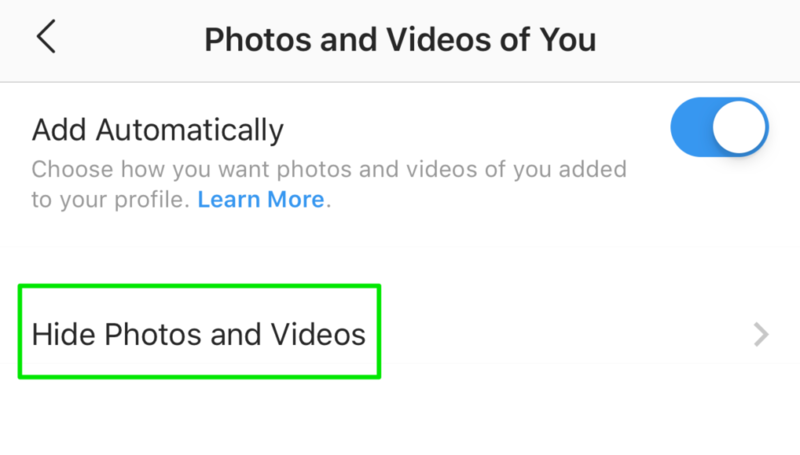 If history is accurate, it’ll be just a few more months before the next Instagram feature is released and more hacks are revealed. These hacks listed here aren’t all of the possible ones available to you but they’re a start in helping you get the most out of the social network. Let us know how these hacks go for you or share your own with us on Twitter @SproutSocial.